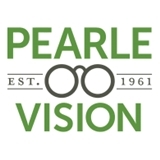 Pearle VIsion (Ozone Park) - Book Appointment Online! We believe everyone should have a quality “Eye Care Experience”, regardless of ethnicity, age, or income. After seeing patients all over New York City, I quickly realized that the level of care in low income areas is really inadequate. All too often, patients are not receiving the level of EYE care that is standard in more affluent areas. Many patients being seen in “eye places” across the Bronx, Brooklyn, Manhattan, Queens, and Staten Island are rushed through eye “exams”, which are little more than prescription checks, not explained health or lens options and then pushed off to a high pressure sales staff. This is the reason we created iCare & Eyewear. When you visit our office, you’ll see the difference that truly caring about your EYE care makes. That is not only our goal but our promise to you. See the difference. Very friendly. Very personable. Very clear explanations. Very thorough. Had to wait about 45 mins after my appt time to see him.